Camera & housing are not included, please order below. This compact and lightweight package is great for travel and contains everything you need to take the Olympus TG-5 camera diving. 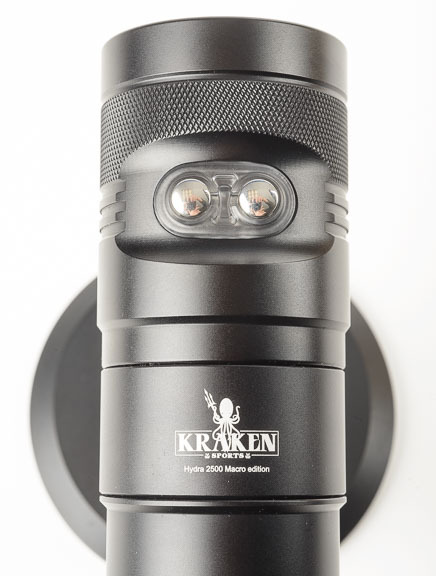 It includes a flex arm that mounts to the cold shoe, a sync cord and a high-powered Kraken 2500 Macro Edition light with wide/red/blue/burst modes! 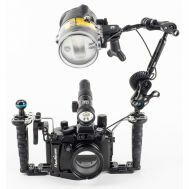 It will give you both a 2500 lumen continuous light for video and a 3500 lumen "burst" for stills. You must order the Olympus TG-5 and housing seperately below to complete the set. 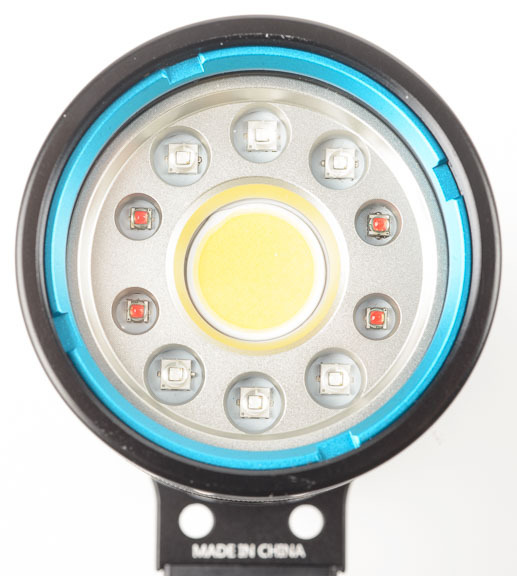 This light has flood, red, and blue beam modes. You can combine the red, and the blue beams for a sort of pinkish purple. This can be used for artistic back, or side lighting. The modes are controlled by an easy-to-use two button operation with one button for mode and another for adjustable output. Holding down one button puts it in/out of burst "strobe" mode to 3500 lumens. 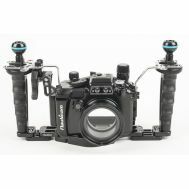 We've also included an I-Das 4" flex arm mount for the light that locks onto the coldshoe mount of the housing. This little light goes a looooong way when you need it! I use it on my Olympus TG4 PT056 case and not only has a 1000 potent lumen at night, but it does the perfect job on pictures as well and video! I love this little light! Worth every dollar! During my last dive in Cozumel I dropped it by error and lost and was sooo happy to be able to buy it again. Got my new light set to go. 100% recommended. 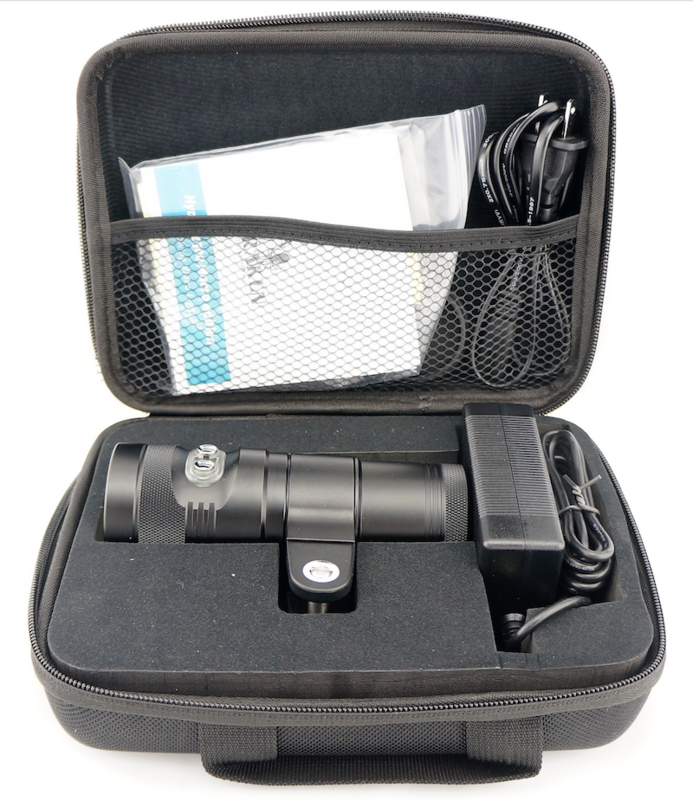 As a novice diver and photographer I needed a system that was simple and compact. Jack recommended the TG-3 with this housing. We just got back from a live aboard in Kona and my pictures are great! I'm looking forward to getting even better shots next year when we go to Raja Ampat. 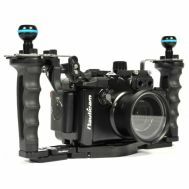 I just ordered the red filter that goes with the housing. Jack, Adam and Margo rock! Thanks guys! Hello Jack. All I can say is WOW!!!!!!! 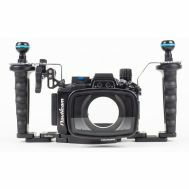 I just got back from my dive trip to the Bahamas and the OLY TG-3 and PT-056 package you recommended and I purchased provided some fabulous photos and video. Thank you so much for pointing me in this direction. May I suggest you contact Jack at Optical Ocean Sales. I live in Colorado, but I still bought through him based on a recommendation from a fellow diver who lives in Virginia. 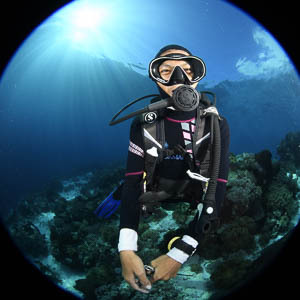 Jack was extremely knowledgeable about all the various underwater photographic equipment on the market, and helpful in figuring out what would be right for me, plus he has competitive pricing.